So, what's the big deal about Triberr? First of all, Tribes are hot. Don't take it just from me. Internet marketing guru, Seth Godin, says people, not ads, create social networks. And networks multiply when combined. So what does Triberr do for you? Simply stated, it is a group of like minded people who band together to read and promote each other's blog posts by retweeting them to their followers. Let's do the math. I personally have only 1800 twitter followers. 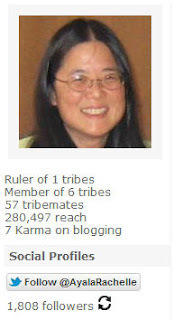 But look what happens when I aggregate all the followers of my tribemates. If each of my tribemates share my post, suddenly I can reach almost 280,497 twitter followers. Before Triberr, I would work on a blog post. Then copy/paste the link into a link shortener, and then tweet it to my 1800 followers. 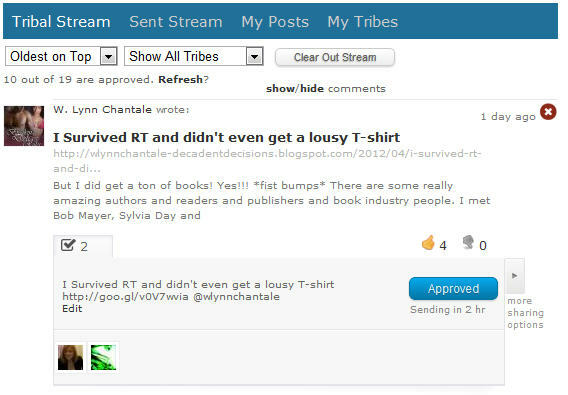 Now, with Triberr, the software automates the collection of blog posts from my blog RSS feeds into the Tribal stream and presents it to all my tribemates in all my tribes. Each member can either "Approve" the post, in which case it gets sent to the member's twitter stream to be tweeted or, delete the post (red X) if it does not meet the sensibilities of a member's followers. A thumbs up is an extra token of appreciation. I can come back later and see how many members shared my post and even how many click-throughs happened. My tribe members are still new at this, so the share rate is still pretty low. But getting feedback from the click-throughs alone is invaluable. I can also quickly see how many people thumbed up my post. Now Triberr does have a currency system called bones. A new user is awarded 100 bones. Because Triberr's owners want to virally extend its reach to new members, I can invite any new member by simply typing in their Twitter ID into the "Invite" button at the top of my page. New member invites are free. However if someone is already a member of Triberr, i.e. has signed up before, then it will cost me 15 bones to invite this person to join my tribe. Triberr calls this an "inbreeding" invite. Obviously the system is geared toward finding new members rather than poaching existing tribes. I'm chief of a new tribe called "Indie Author". 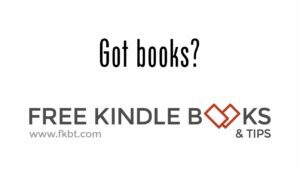 We are indie authors who blog and wish to share our blog posts. If you're interested in joining my Tribe, post your twitter ID in the comments. ‎:O someone reblogged last nights blog post :O I've been blogging for over a year and that has never happened to me before, not even with my NaNo posts, and I've had 38 hits already. Funny thing. Because of Triberr, suddenly I feel like blogging more. I've got some great members of my tribe who are already avid bloggers. Will you join us? See you in the Stream! This is a great program, Rachelle. Thanks so much for inviting me. I have seen a lot more traffic to my blog since this started. I'm a newer blogger, so this has been really an awesome feeling to get so many blog hits! And it is so easy to share other people's posts. Really simple program! This sounds really interesting! I have practically zero traffic on my blog , so I'll definitely give it a shot! Interesting post. I joined tribrr not too long ago, but I haven't really used it yet. Hi Laura, follow me first @AyalaRachelle and I'll follow you back, then send me your Twitter ID. My blog traffic has really spiked since triberr. Hektor, you oughta jump in and join some tribes. I'm a bit depleted of bones at the moment so I cannot "inbreed" invite until I earn more by thumbing up posts. Hi Karla, invite sent! Let me know how it goes. See you around the campfire, and we'll fish in the stream together. I'm buying bones as we speak. If possible, do not sign up for Triberr, follow me first and I can get you in free. Otherwise, I think it costs 15 bones for me to invite you and 15 bones for you to join me. Hektor, I have bones to invite you. Let me know if you're still interested in participating. Basically if you have an active or semi-active blog and active twitter account and am willing to check in every so often to tweet, you're a good tribe member. I'd love to participate. My twitter is just @hektorkarl. My Triberr is also under my name. I blog/Tweet pretty regularly.